Make your selection under "Product Options" below. Marine Corps boot camp graduation is an impressive and important milestone to celebrate for many of those serving in our armed forces. It’s also an important rite of passage for family members to participate and take pride in as well. 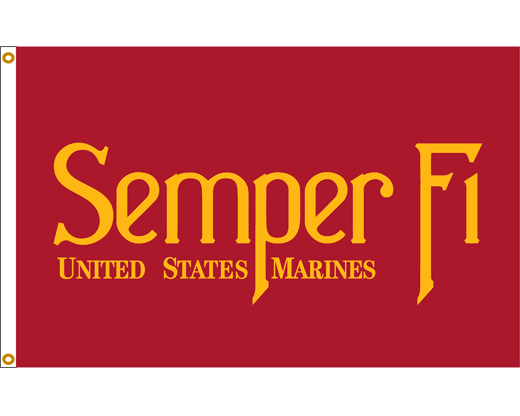 Our Marine Corps graduation packages are a great way to show your pride and commemorate this important milestone in a practical and patriotic way. 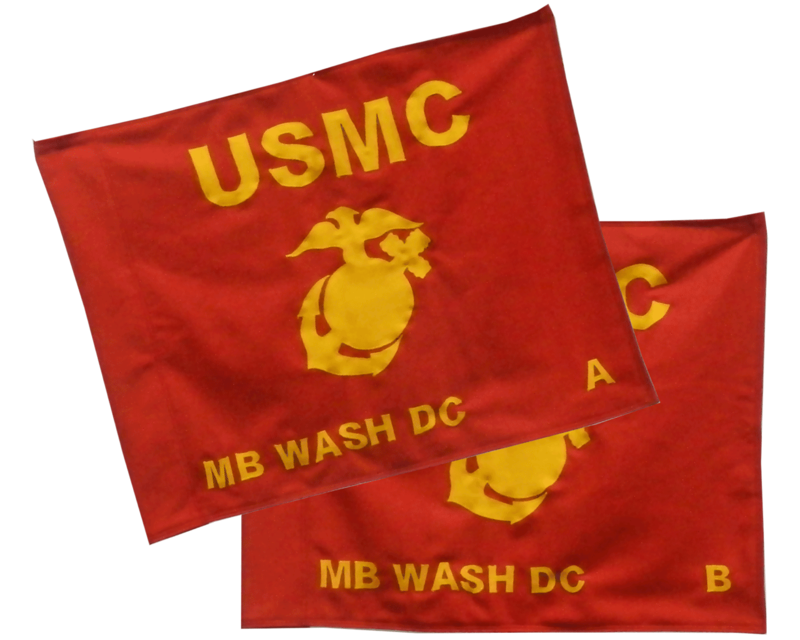 Marine Corps Flags from Gettysburg Flag Works are decorated with the official Marine Corps logo and made in the USA. 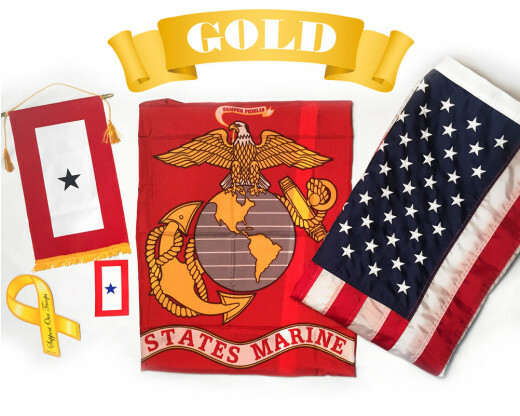 Best of all, our Marine Corps flag packages were designed specifically for Marine Corps graduations, so they include the perfect combination of Marine Corps themed items to show your pride and patriotism as you celebrate this momentous occasion. 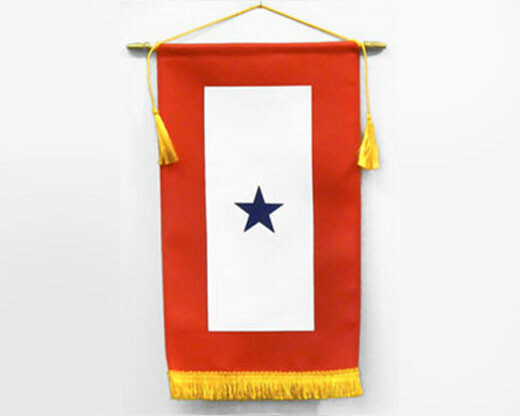 We make unique customized flags for any and all occasions, including military graduations. 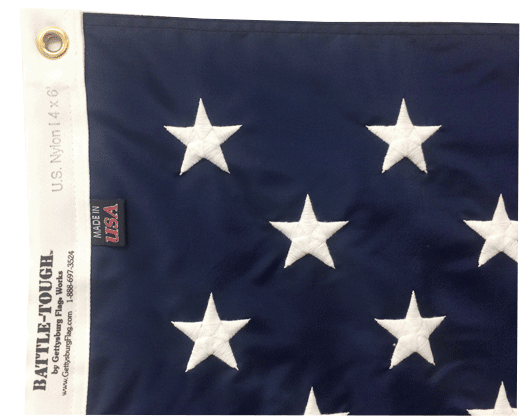 All flags are custom designed based on your specifications and are made right here in the USA. You can be sure your graduate will see you in the stands with a large custom flag that has his/her name on it, battalion number or whatever you choose. With an on-staff graphic artist, we are happy to help you design it. 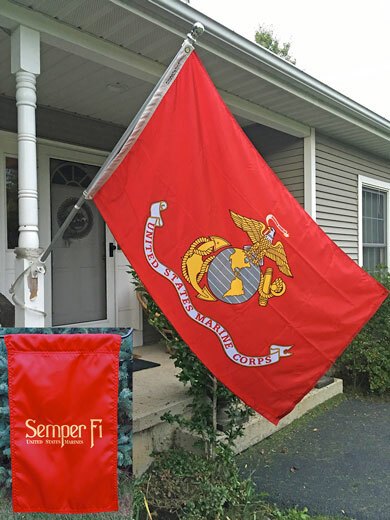 Depicting the Marine Corps motto, Semper Fi, our Semper Fi flag is the perfect complement to the items included in our Marine Corps graduation flag package. 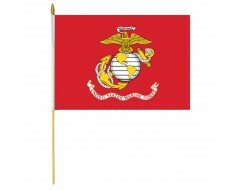 It also makes a great gift for your favorite active duty Marine or Marine Corps veteran. 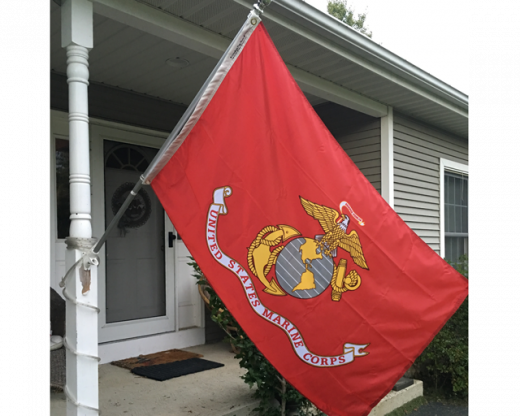 In order to proudly display your Marine Corps flags, you’ll need a high quality flagpole. 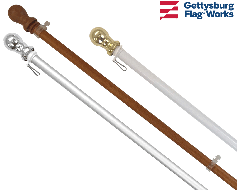 Here at Gettysburg Flag Works, we carry a variety of flagpoles and flag display kits so you can show off your flag however works best for you. 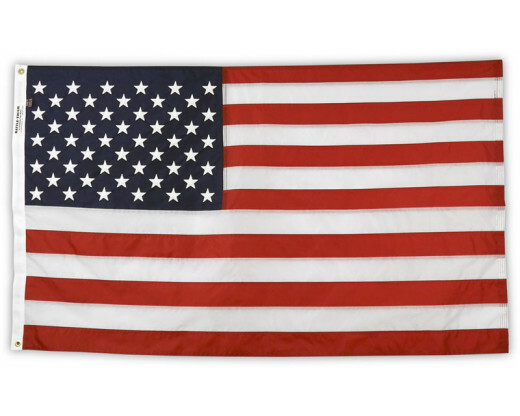 Our in ground residential flagpoles including our Easy Order Flagpoles and our Salute to Heroes Flagpole Kits are popular choices for those who want to display their military flags on full-size flagpoles. 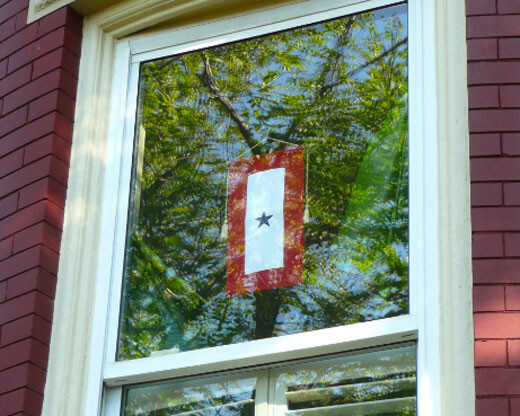 Our house mount flagpoles are another popular choice for military flags. 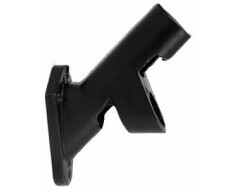 We carry all the hardware and accessories you need to be sure your flag is displayed properly and securely. Browse our selection of flag hardware to be sure you have everything you need to make the most of your new flag! Have questions about any of our products? Give us a call at 1-888-697-3524 or contact us online.